If you have stiff and painful shoulders, neck pain, frozen shoulder, spend hours a day on keyboards and smartphones, spend a lot of time driving, arthritis in your shoulders or neck, poor circulation, weak immune system, heart problems or high blood pressure, this rather simple myofascial yoga series for your shoulders is a simple, quick routine with amazing results. Inspired by the pawanmuktasana series, these yoga exercises and myofascial releases using the soft foam roller restore the range of motion in your shoulder joints, but also relieve pain and help with movement in your neck. If you experience strain from carrying bags and purses, lifting heavy objects or sitting in sedentary at work all day without much movement for your shoulders, then this series will be helpful. This series is also known to be beneficial for frozen shoulder. It will help decrease the pain and soreness in your neck and shoulders. 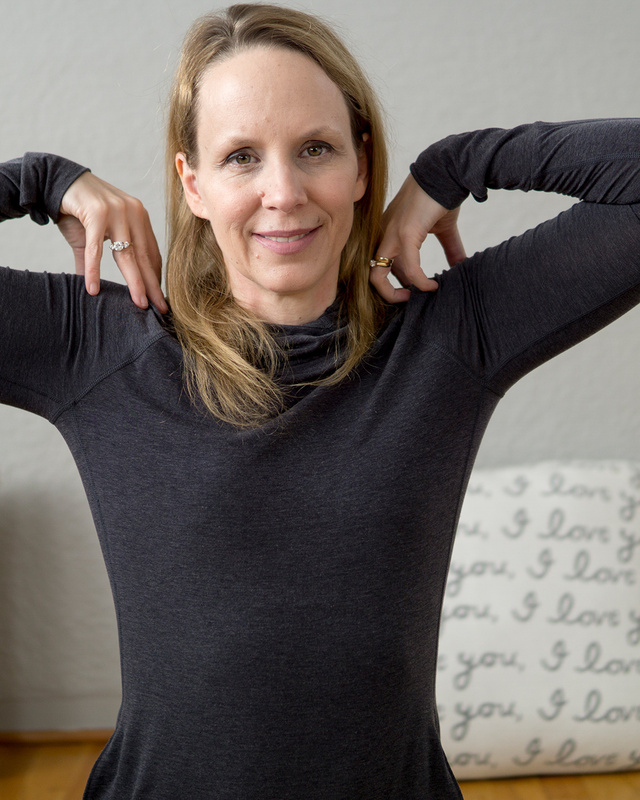 These yoga exercises for your shoulders relieve the tension from prolonged keyboarding, typing, gaming, hobbies like knitting, crocheting and cooking. Because we spend a lot of time overusing our thumbs on smartphones and the repetitive movements of our fingers, hands and wrists on keyboards for hours a day we have a lot of tension in our hands and wrists that move right up to our shoulders. This series reduces the pain and restores the natural range of motion in your hands and wrists from your shoulder joint. These simple movements for your shoulders relieve rheumatoid arthritis and slow down its progression. In fact the exercises for your shoulders are also beneficial for neck arthritis as well. This short video offers myofascial release yoga with a soft squash ball. Myo means muscle and fascia refers to the network of connective tissue that surrounds and includes your muscle. In this video we will use a soft foam roller to isolate the fascia of your shoulders allowing you to create a neurophysiological response that will enable more range of motion in your shoulders as well as greater ease of movement and less pain. The soft foam roller is a myofascial release tool that allows you to take your soft tissue care or myofascial release into your own hands. Because seeing a registered massage therapist regularly is expensive, regular use of a soft foam roller is an affordable alternative and offers many of the same benefits of therapeutic massage. Using the soft foam roller on your upper back and shoulders creates a neuro-physiological response. The myofascial release influences your nervous system which actually governs the baseline tone of your muscle. Because your fascial system is rich in nerve endings, the gentle pressure on fascia communicates that there is no longer need for tension in that area. In the case of this class, the myofascial release using the soft foam roller creates a neurological response that allows you to have greater range of motion in your shoulders, experience greater ease during movement and less pain. To unlock the full class as well as a whole series of 8 myofascial release yoga videos for all the joints of your body (including toes feet and ankles, knees, hips, spine, hands and wrists, elbows and neck) join our membership community by clicking the link here.